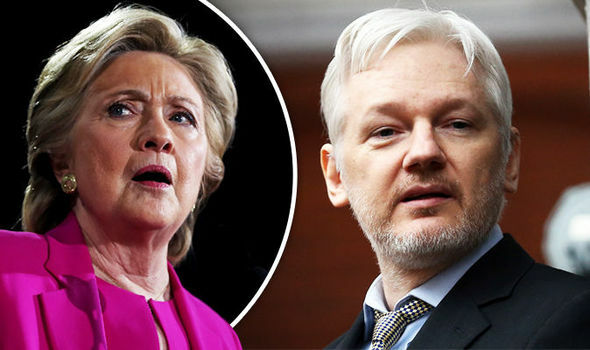 What Clinton fails to say – and her interviewer fails to remind her – is that in 2010, WikiLeaks revealed that Secretary of State Hillary Clinton had ordered a secret intelligence campaign targeted at the United Nations leadership, including the Secretary-General, Ban Ki-moon and the permanent Security Council representatives from China, Russia, France and the UK. The ABC interviewer lauded Clinton as “the icon of your generation”. She asked her nothing about the enormous sums she creamed off from Wall Street, such as the $675,000 she received for speeches at Goldman Sachs, one of the banks at the centre of the 2008 crash. Clinton’s greed deeply upset the kind of voters she abused as “deplorables”. “Libya was Hillary Clinton’s war”, Julian Assange said in a filmed interview with me last year. “Barack Obama initially opposed it. Who was the person championing it? Hillary Clinton. That’s documented throughout her emails … there’s more than 1700 emails out of the 33,000 Hillary Clinton emails that we’ve published, just about Libya. It’s not that Libya has cheap oil. She perceived the removal of Gaddafi and the overthrow of the Libyan state – something that she would use in her run-up to the general election for President. The slander, since deleted, was even used as a link to the ABC interview captioned ‘Assange is Putin’s (sic) b****. We all know it!’.